Mark is the founder of Essent and has served as Chief Executive Officer and as a member of the board of directors since 2008. He serves as Chairman of the Board of Directors and has more than 25 years of financial services management experience, with senior roles in the areas of mortgage banking, mortgage insurance, bond insurance and capital markets. From 2001 to 2007, Mark held various senior management positions with Radian Group, Inc., including most recently serving as the president of its mortgage insurance subsidiary, Radian Guaranty, Inc. Prior to that, he oversaw capital markets and strategic investments for Radian and managed its joint venture businesses. Mark also held various management positions with Advanta Corp., a financial services company, including serving as its senior vice president of corporate finance services. He holds a BS in accounting from St. Joseph's University and an MBA in finance from New York University. 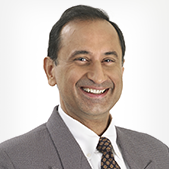 Vijay has served as Senior Vice President and Chief Risk Officer since 2009. He has significant mortgage finance industry expertise, including holding multiple senior management positions specializing in mortgage risk, modeling and analytics. From 2006 to 2008, Vijay served as a managing director of Countrywide Financial Corporation/Bank of America, a mortgage lender, with responsibility for capital assessment, asset liability management, counterparty credit risk measurement and structured credit analytics. Earlier in his career, he held several management positions with Freddie Mac, including vice president for credit and prepayment modeling, and held research positions with Fannie Mae and the Board of Governors of the Federal Reserve System. Vijay holds a BS in mechanical engineering from the National Institute of Technology, Kurukshetra, India, an MBA in finance and marketing from Southern Illinois University, and a PhD in finance from Indiana University, Bloomington. 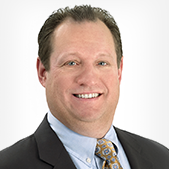 Jeff has served as Senior Vice President and Chief Business Officer since 2009. 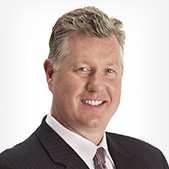 He has more than 24 years of experience in mortgage finance, mortgage insurance and business development. Prior to Essent, Jeff served as executive vice president and chief operating officer of a nationwide mortgage insurer, with responsibility for all operations, pricing and sales functions. 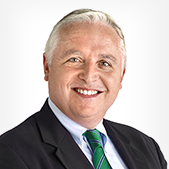 He has also held management positions within the mortgage insurance industry, including business development, capital markets, international business and strategic planning groups. Prior to that, Jeff worked at Household Finance Corporation with roles in underwriting and quantitative marketing analytics. He holds a BS in finance from Illinois State University and an MBA from DePaul University’s Kellstadt Graduate School of Business. 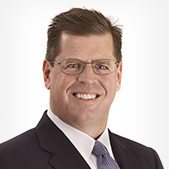 Chris has served as Senior Vice President of Corporate Development since 2011. He has more than 24 years of experience in mortgage banking and financial services in the areas of financial management, pricing, asset valuation, capital markets, operations and originations. Most recently Chris served as senior vice president of pricing and operations for a mortgage insurer, where he also led their capital markets group. He has also served in a variety of leadership positions with JP Morgan Chase and Advanta at both the corporate and business levels. Chris’ areas of responsibility included residual and mortgage servicing valuation, investor relations, corporate development, secondary marketing and corporate controller. He began his career as a CPA with Arthur Andersen LLP, specializing in financial services and securitization. Chris holds a BS in accounting from LaSalle University. 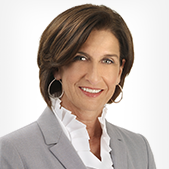 Mary has served as Senior Vice President, Chief Legal Officer and Secretary since 2008. She has more than 20 years of experience in the mortgage industry. From 2003 to 2008, Mary served as chief legal officer of Wilmington Finance, Inc., a mortgage lender. She began her career at the U.S. Bankruptcy Court and White and Williams LLP, a law firm. Mary’s mortgage-related experience includes senior roles at ContiMortgage Corp. and Advanta Mortgage Corp.
She holds a BS in marketing from St. Joseph's University and a JD from The Delaware Law School. Ted has served as Senior Vice President and Chief Information Officer since 2009. He has more than 25 years of experience serving Fortune 500 companies in the area of information technology, including 17 years in mortgage and financial services. Before joining Essent, Ted served as a vice president of business systems solutions, overseeing application development and delivery to enhance risk management capability and improve operational efficiency. His experience also includes senior management positions with GMAC Mortgage, SunTrust Mortgage, and BearingPoint Consulting, where he focused on information technology strategy, architecture, delivery, and management. Ted holds a BS in management information systems from Indiana University of Pennsylvania. Bill has served as Senior Vice President and Chief Operations Officer since 2009. 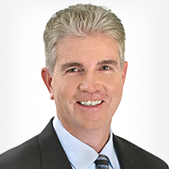 He has more than 25 years of experience in the areas of operations, technology and finance. Before joining Essent, Bill’s served as senior vice president of operations of a nationwide mortgage insurer, with responsibility for the field underwriting organization, centralized operations, quality assurance, and other service-related functions. Prior to that, he served as vice president of business solutions for a nationwide mortgage insurer, where he developed and implemented solutions for improved business performance with an emphasis on advanced technology. Bill has also managed mortgage-lending retail and wholesale channels, as well as a broad range of staff support functions for financial services companies. He holds a BS in business administration from Boston University. 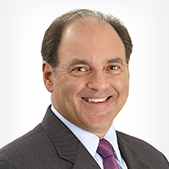 Larry has served as Senior Vice President and Chief Financial Officer since 2009. 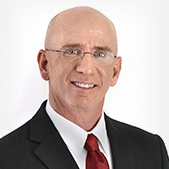 He has over 25 years of experience in the areas of finance, accounting, controls and risk management. Between 2002 and 2009, Larry held a series of senior management positions at Sovereign Bancorp, Inc., including serving as its chief accounting officer, general auditor and chief enterprise risk management officer. Prior to joining Sovereign he was a partner with Arthur Andersen LLP. Larry holds a BS in accounting from St. Joseph's University and is a certified public accountant.